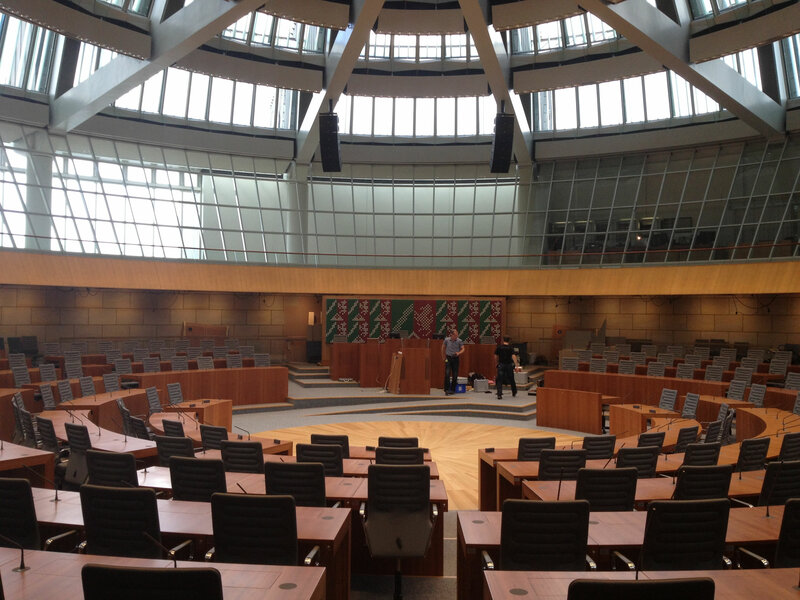 Since 2001, we have the task in the North Rhine-Westphalia Parliament in the fields of room acoustics, as well as the media systems to support the Landtag administration with the gradual renovation of the various premises of the building in 1988 on the banks of the Rhine. Between 2008 and 2013, we were involved in the modernization and barrier-free renovation of the plenary hall and accompanied the migration of conference system and the replacement of sound reinforcement system. Camera system with remote-controlled head-moving systems for the public presentation of sessions in the plenary hall and other meeting rooms, as well as a motorized extendable screen were added by us in 2013/14. 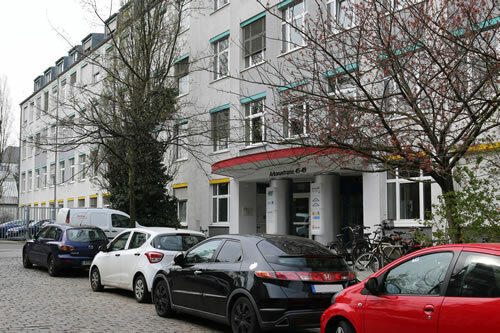 We are currently supporting the renewal of the “Erfrischungsraum” in building E in terms of room acoustics and media systems , and are supporting the ongoing maintenance measures after the state election in 2017 at the building's paging system. The large fractional hall of the CDU parliamentary group receives a new floor covering and new furnishing in a multi-stage conversion measure. As with the measure in the parliamentary group of the SPD in 2016, the media systems will be extensively renewed. Five motor-driven 75 "displays with 4k resolution in the center of the room allow the image reproduction for all seats in this cylindrical room with up to 160 seats. There are four places to connect a presentation device; Apple AirPlay is also supported. Together with two cameras in the hall, all the signals are processed and provided for the displays, as well as when released for transmission in the intra- and internet. The conference system communicates wirelessly with the central unit, which allows a high flexibility of the table arrangement. Together with the loudspeaker system in the ceiling area of ​​the hall and a powerful digital audio signal processing in the hall directional listening is possible in sections.